For the next month and a half we will see the bedraggled dipping man come in and out of our holiday readings. Oh, here’s that old voice in the wilderness fellow again. He eats locust and wild honey, even though these items haven’t been approved by the FDA. Even though John the Baptist is a key figure in premodern church art and drama, he doesn’t get much attention now. I think many local church problems, as well as our general failure to witness to contemporary culture, is rooted in our failure to appreciate JB’s message. John the Baptist stands firmly rooted in the old order. He is the last member of the way things were before Jesus. He proclaims the Kingdom of God, but doesn’t enter it. He acts as a bridge between the old and the new. He is a transitional guide. They do a realistic reality check. They explain to us why the old ways are failing. They firmly, but gently, call us to repentance. They proclaim the new, but use traditional language and images. They honor history while teaching us that change is unavoidable. They offer us baptism as a way to cross the river. They teach us the great religious truth; those who have died once (or been baptized) don’t need to fear death in the future. They embrace the wilderness as a symbol of transition. Like the people of the Exodus, we move through wilderness to the promised land. What we leave behind is named. We empty our lives in order to be open to receive what God has for us in the future. They teach us to trust God. 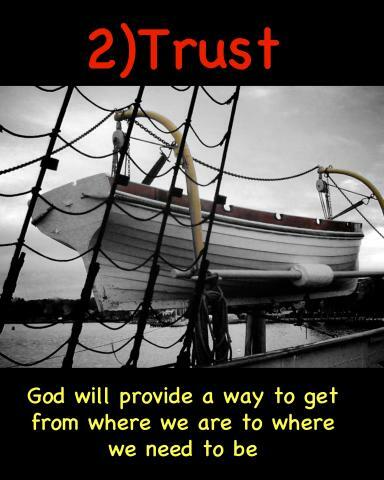 John tells us that God will provide a way to get from where we are to where we need to be. They assure us of forgiveness. As forgiven people we find the courage to be risk takers. This is why John the Baptist matters. In our personal lives we need people to help us the way John the Baptist helped the people who went out to him. In the church, we need more pastors and church leaders to intentionally take on the job of being a transitional guide.